M48 Double-Sided Belt - Nylon Webbing, Heavy-Duty ABS Buckle, Laser Cut And Sealed Tip, Adjustable Size - Length 49” | BUDK.com - Knives & Swords At The Lowest Prices! 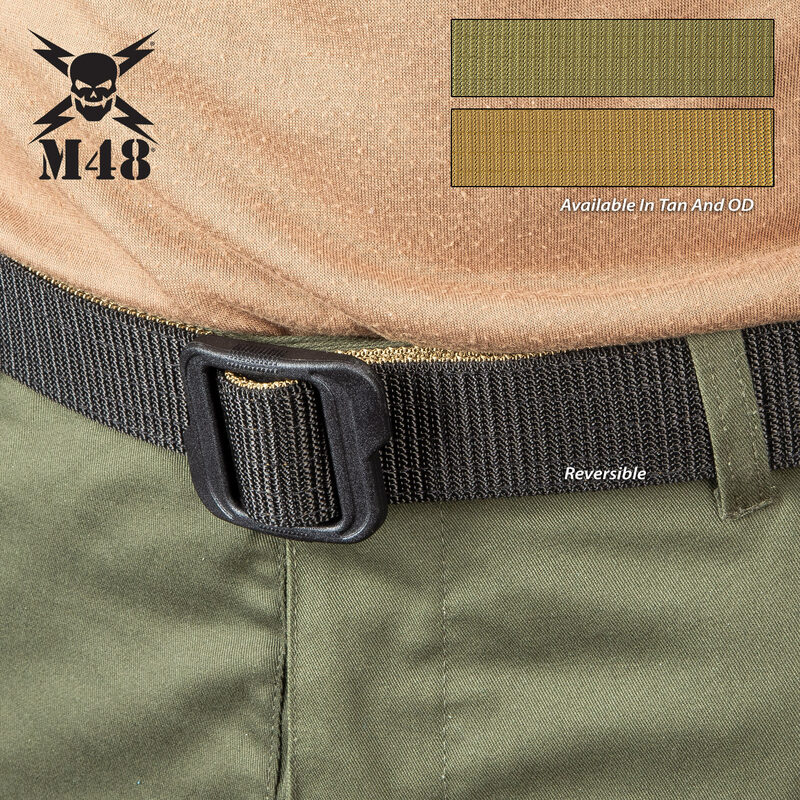 The M48 Double-Sided Belt is a sturdy belt to carry a holster, a pouch with a spare magazine, a multi-tool, flashlight or phone. 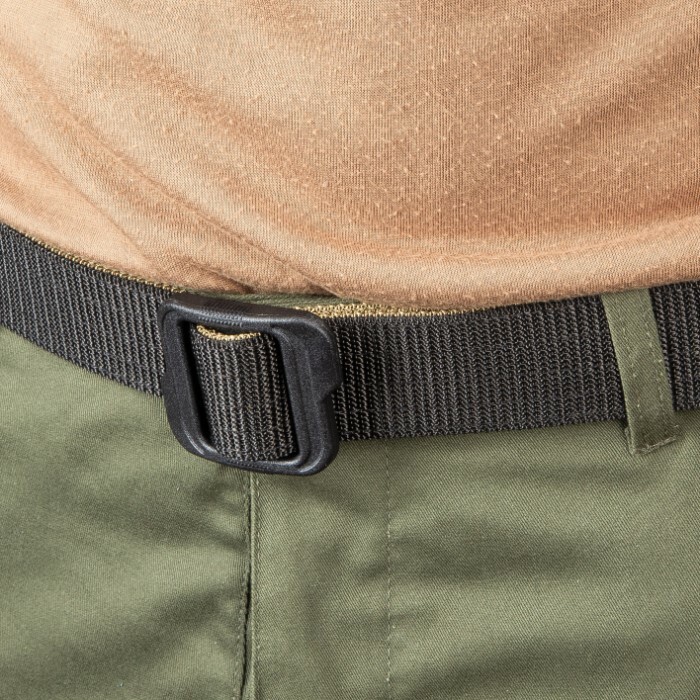 This belt does not sag or give with the weight of a gun! 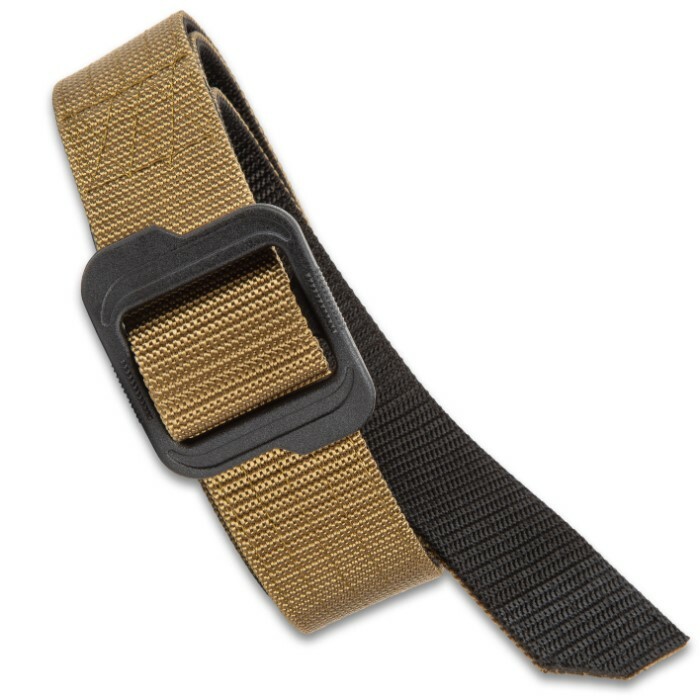 It is made of 1 1/2” wide practically indestructible nylon webbing that features a different color on each side for wearing options. 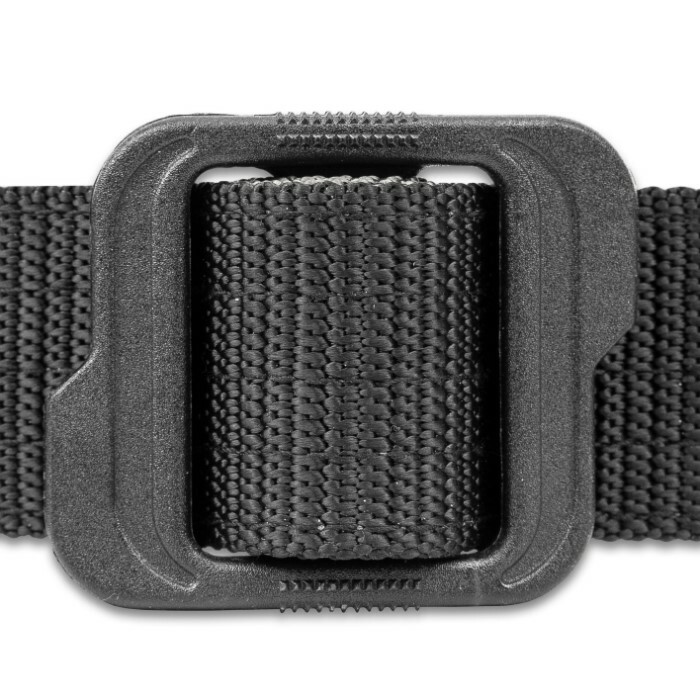 The belt tip is laser cut and sealed for continuous, easy on and off and the buckle is heavy-duty ABS, making it undetectable by metal detectors. 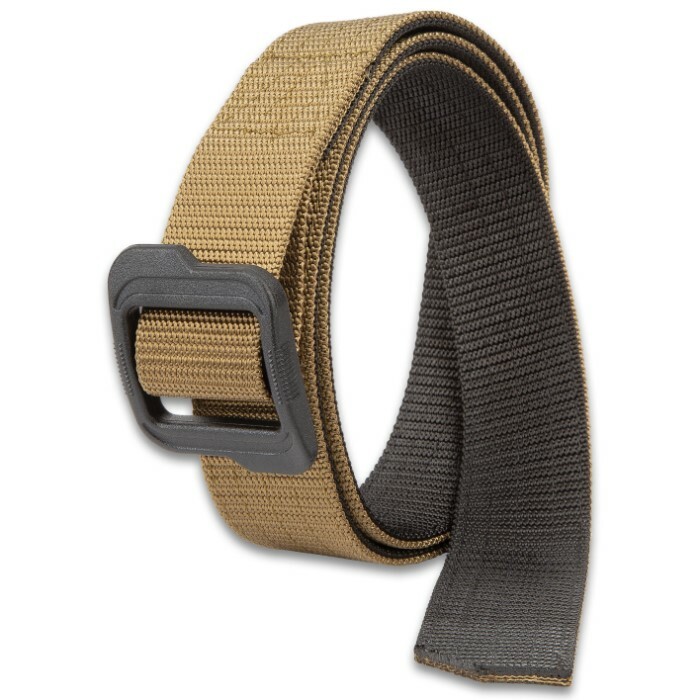 Easily and precisely adjust the size of your belt depending on your waist or what gear you are carrying on it that day. 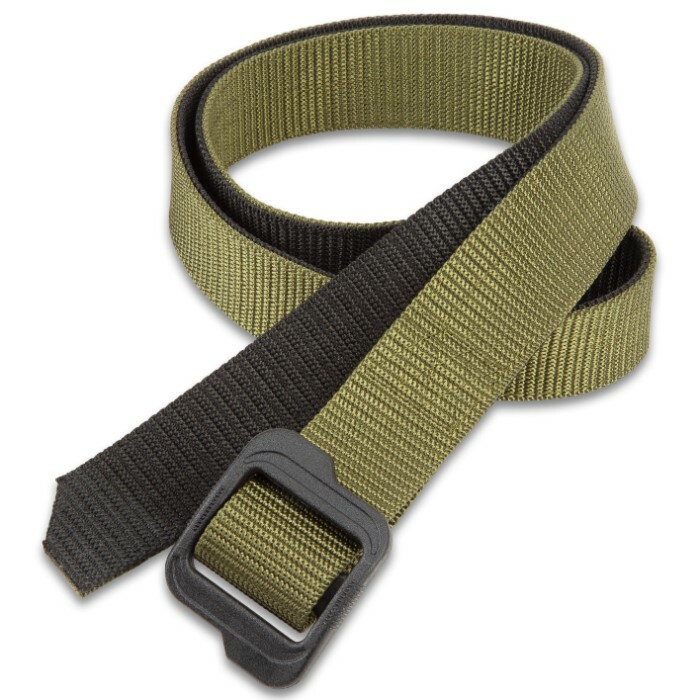 The tough, 49” overall length, double-sided belt is available in black and tan; and black and olive drab.